At last week’s two-day Southeast Hay Convention in Moultrie, Ga., there was a lot of alfalfa-growing discussion. “We’ll either talk you into it or out of it,” said Dennis Hancock, Georgia’s extension forage specialist. 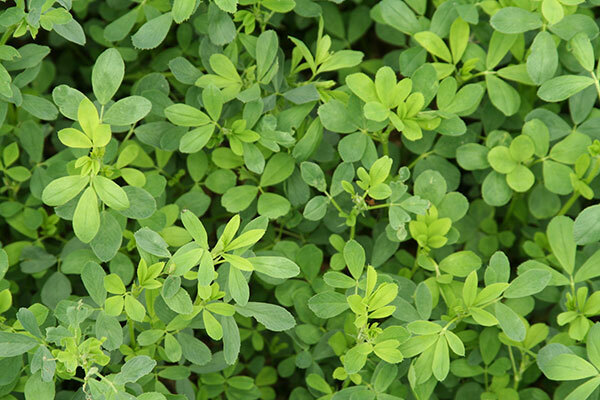 In the Southeast as well as other areas of the U.S., lower-than-optimum soil pH is a major limiting factor to maintaining productive alfalfa stands. One of the front and center problems with low soil pH is aluminum toxicity. “In acid subsoils, aluminum becomes soluble and more available for plant uptake,” explained Ali Missaoui, a forage plant breeder at the University of Georgia. Missaoui is currently screening alfalfa cultivars to find genetic material with built-in tolerance to low pH soils. Too much available aluminum has the effect of slowing and pruning alfalfa root growth. This in turn reduces the activity and ability of Rhizobia bacteria to inhabit root nodules and fix nitrogen for the plant. Job one to mitigate aluminum toxicity is to correct low soil pH with an application of agricultural lime — preferably six months to a year before alfalfa seeding. Gypsum, which is calcium sulfate, won’t raise the soil pH, but the high volume of calcium will displace the aluminum on subsoil particles; this allows it to be leached below the rooting depths when enough moisture is available. Hancock shared research showing alfalfa root growth increases of 200 percent at a depth of 2.5 feet where gypsum had been applied. He noted that a subsoil (deeper than 15 inches) soil test is recommended to confirm if a gypsum application is warranted to reduce potential aluminum toxicity issues from low pH and high aluminum availability. The issue becomes serious when soil pH trends below 5.5. Remember, gypsum applied alone will have no impact on soil pH. It must be used in conjunction with agricultural lime and a recommended fertilizer program. A well-drained site is also important for sustained, profitable alfalfa production.